The leader of the Conservative group in Calderdale has reacted to the budget forecast saying there is a 'lack of detail and transparency' in the plans. The forecast, which were discussed at the latest meeting of Calderdale Council's Cabinet, aim to balance the books with plans on where money can be saved and allocates the additional funding given to local authorities by the Government. However, concerns have been raised over whether clear information on where the majority of savings will be found in future years has been included in the plans. Coun Scott Benton, Leader of the Conservative Group on Calderdale Council, said: "The lack of detail and transparency in their budget plans for 2020 onwards shows that Labour have completely run out of ideas. "They are currently running enormous overspends on revenue and capital funding and their failure to produce a full three year Budget breaks with established council protocol, compromises the financial stability of the council, and will not reassure residents that they have a firm grip on the council’s finances. "It leaves staff and the public completely in the dark about their plans for the future of our local services. 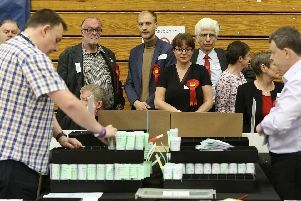 Rather than coming up with a positive vision for the future of our different communities, they are once again looking to delay potentially difficult decisions until after the local elections in May. "They are playing politics with our local services." Calderdale Conservatives also expressed concern about specific plans within the Budget including the proposed 2.99% increase in Council Tax and plans to increase the maximum charge which elderly people pay for receiving care. The Leader of Calderdale Council, Coun Tim Swift said: “After eight years of austerity I am pleased to see some limited recognition from the Government that local authorities are struggling to deliver the vital services on which our communities rely, and the extra funding announced for those areas which are experiencing the most pressure is of course welcome. The final budget proposals for 2019/20 will be agreed at Budget Council on 25 February 2019.